Richard Bledsoe serves as a Physical Therapist for ARC Acupuncture & Physical Therapy. In 2003, Richard earned his Masters Degree from University of Central Florida in Physical Therapy. He has been working as a team member with ARC for over 10 years. Prior to choosing Physical Therapy as a new career, Richard served in the Merchant Marines for 20 years and hold B.A in Marine Technology. Richard has a wealth of diverse life experiences behind him, and brings an open mind and a willingness to incorporate both traditional and alternative routines with his individualized exercise plans. 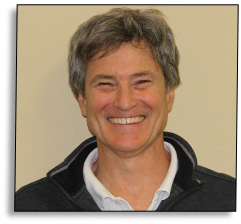 Richard’s insightful and perceptive character adds to the final stage of therapy resulting in positive long term outcomes for the patients at ARC Acupuncture & Physical Therapy.